At EU Business School, intelligent and driven students hail from around the globe to develop their business skills, make important contacts, and garner an understanding of business in cosmopolitan business centers. 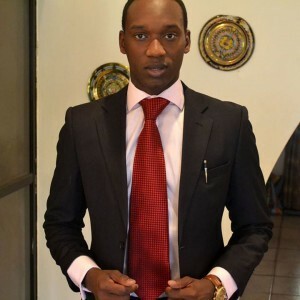 Recent EU Geneva graduate Ugochukwu Ikpeazu is no exception. With a clear direction and sense of purpose, Ugo spared no time in launching a project after finishing his studies. His project shows that alongside a solid business background and focus, EU students apply these principles and skills to their own interests and personal projects. Hello Ugo! Thank you for your time today. Please could you begin by telling us a little about yourself, what you studied at EU, and how it feels to have recently graduated? My name is Ugochukwu Ikpeazu and I studied International Relations at EU Business School. It feels great to have graduated; I now have some time to think about the next step and how I can creatively continue my self-development. Fantastic. Ferrum sounds like a fascinating project – what is it all about? 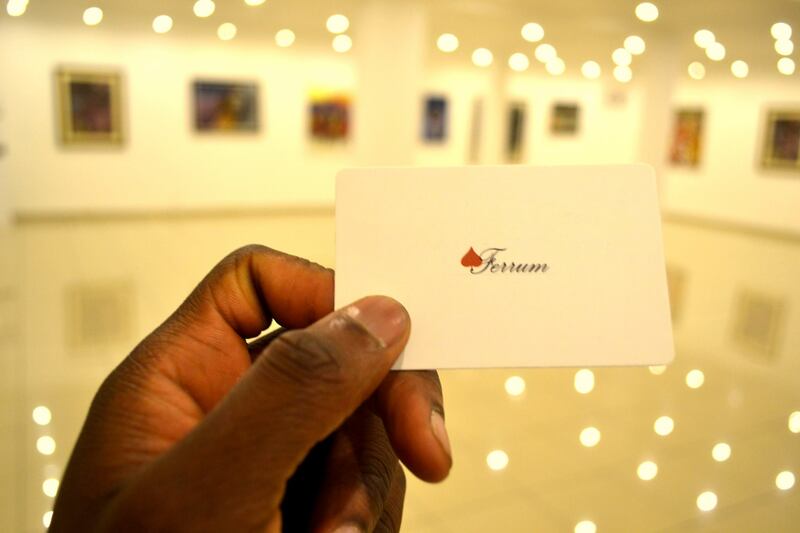 Ferrum is an art house founded to use art as a tool for social integration. Ferrum is currently building a diverse collection that would be used to host exhibitions around the world. And where did the inspiration for this movement come from? The inspiration for Ferrum came from my enduring passion for art and my growing interest in the role that social integration and globalization play in development. I come from a developing country and have lived in the developed part of the world; drawing connections between the two lifestyles has always been interesting for me. You recently hosted the inaugural Ferrum exhibition – how did everything go? 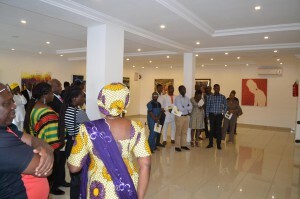 The exhibition ‘An African Story’ was Ferrum’s launch. The theme was chosen because of how the continent has evolved. Nigeria was chosen for the event because of its increasing importance as a regional economic and cultural hub and as a global player in development. I believe the event was a success because it brought together country ambassadors as cultural representatives, leading African artists, internationally prominent art enthusiasts and representatives of the tourism industry. Great. 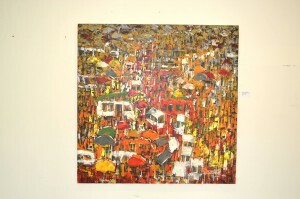 The Nigerian National Council for Arts and Culture turns 40 this year. After 40 years of ‘using culture as a cornerstone to build a solid nation where citizens shall see its cultural diversity as a source of strength’, what role do you think art plays in Nigeria at the moment? 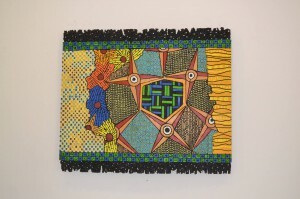 Art plays a very strong role in Nigerian Culture at the moment and has always done so throughout history. Art appreciation has just not evolved as strongly as the medium of expression has. If art appreciation can grow among the youth then it can strengthen the national identity and encourage more people to invest themselves in the country. 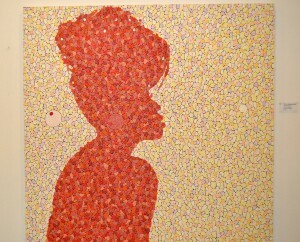 Was there a piece on display that you were particularly drawn to? There were several pieces on display that I liked, but obviously mine were my favorite (laughs)! It’s hard to pick one because there were some very different styles from abstract and surreal on canvas to wood collage. Were there any skills or ideas that you learned at EU that helped you while you were organizing the event? There was a lot of knowledge that I was able to pull together from my time at EU: communication, etiquette, cross-cultural business understanding, negotiation etc. It was really some of the little things that my lecturers had said that turned out to be important details in my planning process. That’s great! Finally, what is next for both yourself and Ferrum? I will dedicate my time now to developing Ferrum and building the collection while I go on to work in business. Ferrum is a passion of mine and so it will grow while I pursue other avenues of self development. Ferrum will be hosting the next exhibition somewhere in the world soon and that’s currently what I’m working to put together. Thank you for your time Ugo, and EU wishes you the best of luck in your future and looks forward to hearing of your future successes!